The Final Testimony of Raphael Ignatius Phoenix is one man’s wholly unorthodox account of the twentieth century – or certainly his own riotous, often outrageous, somewhat unreliable and undoubtably singular interpretation of it. Hello, this is Paul’s wife Alicky. As many of you know already, Paul died very suddenly from a ruptured aneurysm in May 2012. As well as being a talented author, he was a truly unique person – a brilliant Dad and adored husband. We all miss him so much. Paul finished putting together this website shortly before he died. He loved the design and was very excited about adding more photographs and writing his blog. 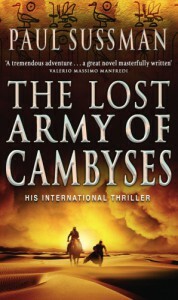 I am keeping the site up to date with the latest news on his books – including the posthumously published novel – The Final Testimony of Raphael Ignatius Phoenix – but am loathe to make dramatic changes so apologize for anything that may feel a bit disjointed. 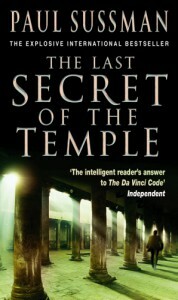 “The intelligent reader’s answer to the Da Vinci Code.” The Independent. 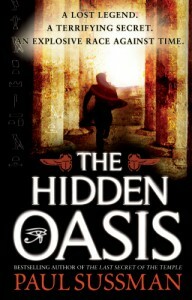 I am a journalist, novelist and former field archaeologist specializing in Egyptian archaeology. I live in London with my wife and two sons. © Copyright Paul Sussman 2011-12. All Rights Reserved.